Andalusia is a beautiful region, full of beautiful cities like Cordoba, the third most populous city after Seville and Malaga. The Cathedral-Mezquita and a blossoming reputation as one of Spain’s gastronomic capitals make this ancient Andalusian city hard to resist. 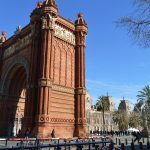 The highlight is the Festival of the Patios (May 5 to 18), when homes are opened to the public to reveal flower-filled Moorish courtyards. 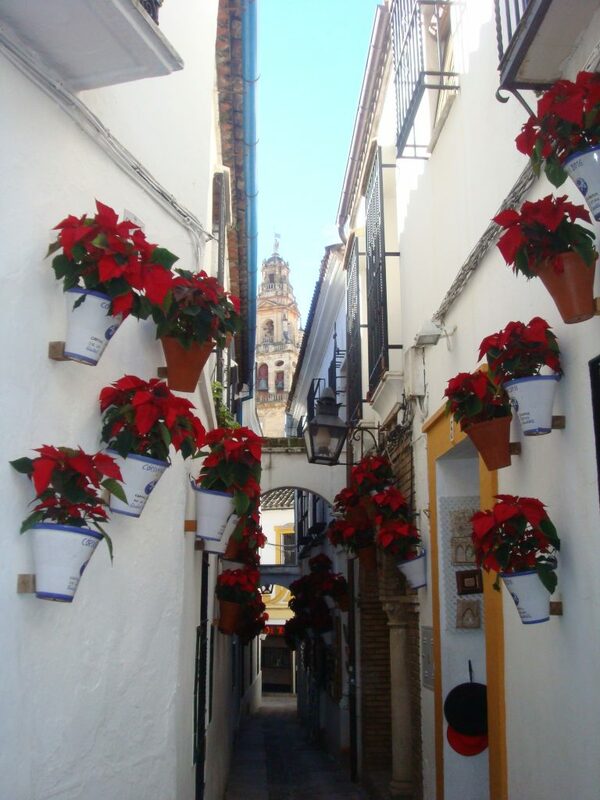 Cordoba is one of the northern cities in the Andalusian region and is easily accessible by train and bus. By plane, the nearest airport is Seville, although Granada and Malaga are quite close. 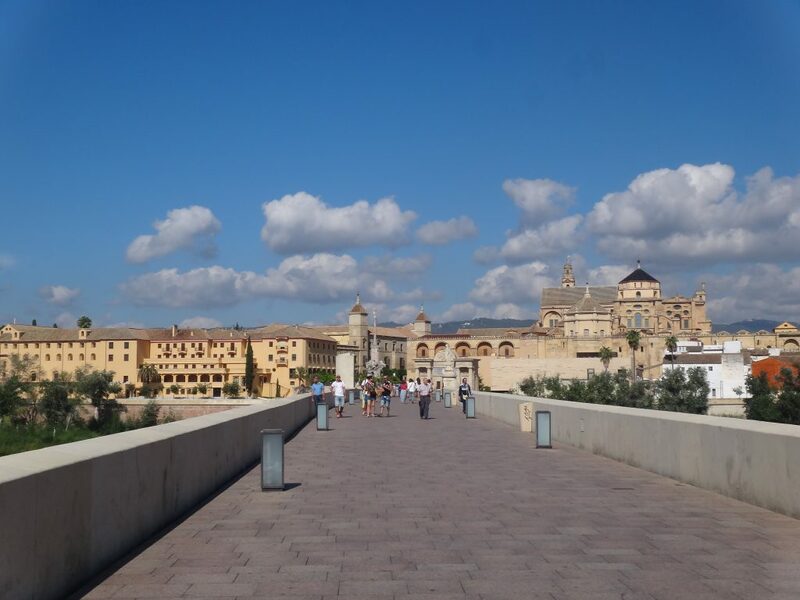 Seville – Cordoba = starting from € 14, duration 1h30 (there are also high-speed trains). Granada – Cordoba = starting from € 45, duration 3h approx. Malaga – Cordoba = starting from 28 €, duration 1h approx. Madrid – Cordoba = starting from € 44, duration 1h40 approx. 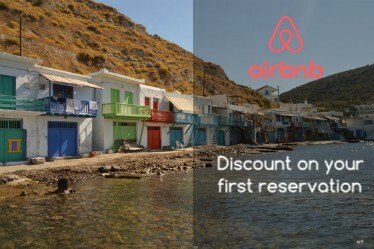 Cadiz – Cordoba = starting from 30 €, duration 3h20. Sevilla – Cordoba = starting from 12 €, duration 2h. Granada – Cordoba = starting from 15 €, duration 3h approx. Malaga – Cordoba = starting from 12 €, duration 3h approx. Madrid – Cordoba = starting from € 20, duration 5h approx. The city of Cordoba is quite extensive, but the only means of transport is the bus. Here you will find the map with the various lines that cover the city, single ticket price € 1.30. Honestly, I suggest you visit the city on foot unless your hotel is out of town. About the hotel, do you spend a night in Cordoba? Personally, I can not recommend any hotel in particular, but if you need advice on how to book your hotel read here! Cordoba is a city full of monuments and parks, if you can stay at least 2 days in this city would be perfect, a free tour is a good option for not missing anything. Starting from the train station our first stop will be the Roman Mausoleum, it is very typical to find Roman ruins scattered throughout the city, all of course well preserved. 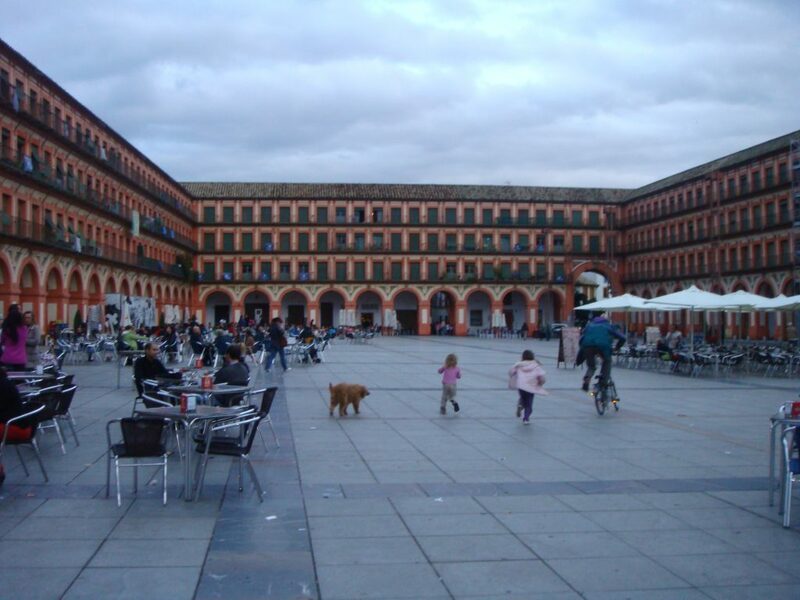 Then we go to the Plaza de la Corredera, passing by Plaza de las Tendillas, two very beautiful squares of the city. Going down towards the Guadalquivir river, pass by the small but very nice Plaza del Potro, then pass by the very famous Calleja de las Flores. We arrived at the Mosque-Cathedral of Córdoba, in 784 Abd al-Rahman I ordered the construction of the Great Mosque, which was expanded by later Muslim rulers. Córdoba returned to Christian rule in 1236 and was added to the Roman Catholic church, culminating in the insertion of a Renaissance cathedral in the 16th century. Price and opening times. Torre De Calahorra, where inside you will find the Museo Vivo de al-Andalus which can be visited with only € 4.50. But above all, do not miss the two mills, one on each side of the Guadalquivir, Molino de la Albolafia and the Molino de San Antonio. Alcázar of the Christian Monarchs, or simply called the Alcazar of Cordoba is one of the most visited and well-known monuments of the city. 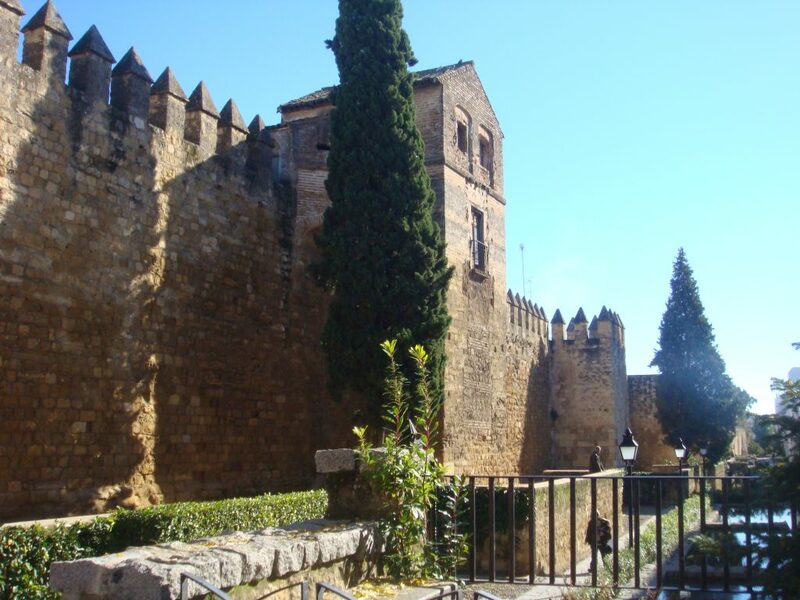 The fortress served as one of the primary residences of Isabella I of Castile and Ferdinand II of Aragon. Declared part of World Heritage by UNESCO in 1994, admission € 4.50 (guided tour € 15). Opening time: Mondays Closed, winter (September 16th to June 15th) Tue to Fri 08.30 to 20.45 hrs, Sat 08.30 to 16.30 hrs, Sun 08.30 to 14.30 hrs, summer (June 16th to September 15th) Tue to Sat 08.30 to 15.00 hrs, Sun 08.30 to 14.30 hrs. 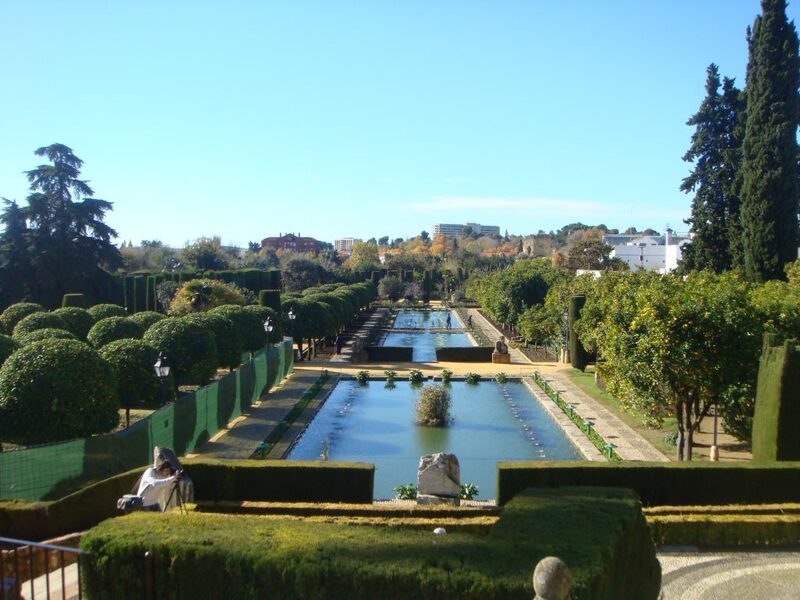 The magnificent gardens with forest species including palm trees, cypress, orange and lemon trees, which surround a number of elegant fountains and ponds. The gardens are structured on three levels: the upper garden, the middle garden, and the lower one. The King’s walk is a walk bordered by a line of cylindrical cypress trees and is also divided into two paths by two narrow ponds. 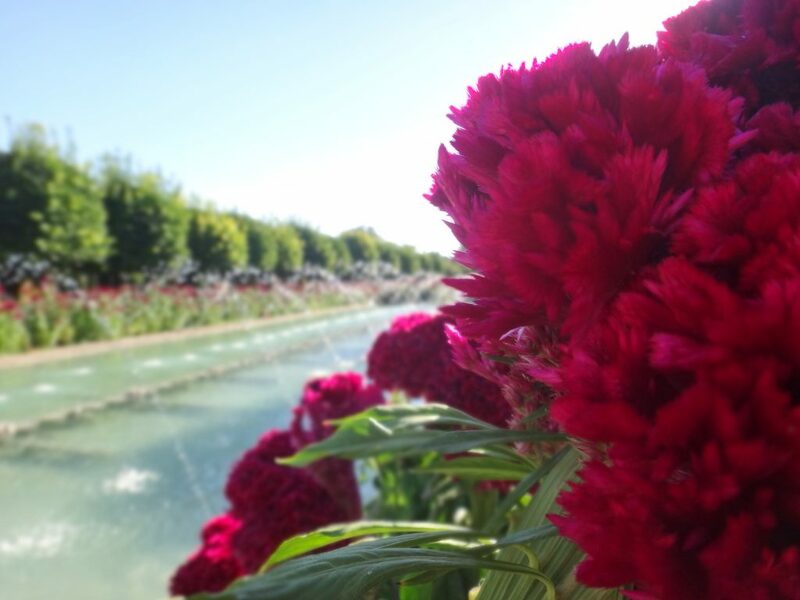 On this walk, there are several sculptures of the Kings who built the Alcázar. Once the visit is over if there is still time you can visit the Baths of the Alcázar Califal and the Wall of Almodóvar. To eat Cordoba is one of the best cities in Andalusia, I recommend Victoria Market if you want to try different things (not traditional cuisine). While other historic places are the Bar Santo, famous for its giant and delicious “Tortilla de patata”, and Casa Patricio or Casa Rubio to try the “Flamenquin cordobes”. As in most Andalusian cities, you always get a starter or a Tapa, even if you have not ordered it.